Save The Date! Big Band Gala! Tickets on sale now. Buy today! Only a limited number of tickets may be available at the door, space permitting. Enjoy the live jazz music of our four award-winning bands and vocal ensemble, along with a silent auction, fabulous dinner, and dancing while helping us provide a high quality jazz education to Roosevelt High School musicians. Your support is greatly appreciated! Come have a great time with us! Please consider Roosevelt Jazz as part of your charitable giving by making a monetary donation or sponsoring our annual fundraising Gala. It is our single biggest fundraising effort of the year in support of the program. As a donor or sponsor, you help to provide a high quality jazz education to over 100 Roosevelt High School students, who inspire listeners of all ages, represent the vibrant Seattle Jazz community, and move on from Roosevelt to be active members in our greater community. Our students, parents and teachers all appreciate your support of music education in the public schools. DONATIONS: The Big Band Gala is our largest fundraiser of the year. We hope you’ll be able to join us at this fantastic event. If not, we hope that you will consider making a direct Gala donation to support our outstanding music program. Seattle public high schools receive just pennies per student for music programs and sustaining a jazz program of this caliber requires much more. With your help, every one of our young musicians will be able to participate in all activities regardless of their ability to pay. Event is cocktail attire/semi-formal/dressy casual. 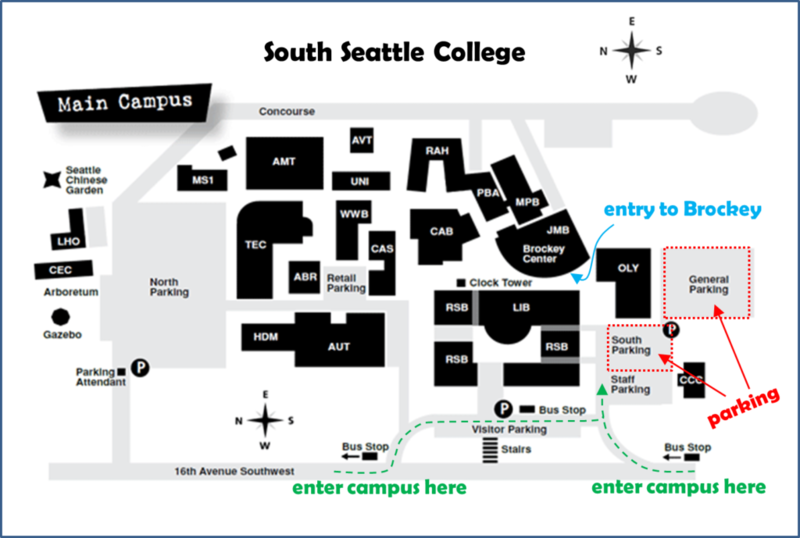 Click here for directions to the Brockey Student Center at South Seattle College.